The Longevity Project | Part 1: Why do residents of Colorado’s mountain towns live longer than anyone else in the U.S.? 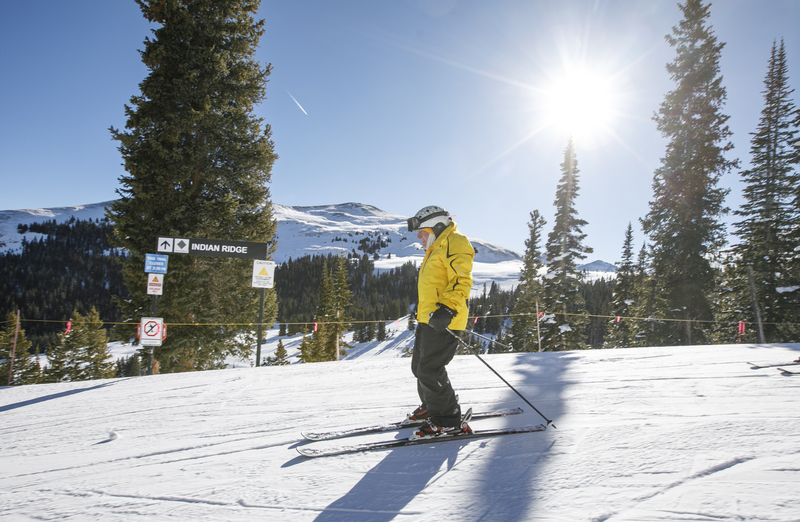 Frank Walters skiing at Copper Mountain Wednesday, Jan. 17. Editor’s note: This is the first installment in a four-part series from the Summit Daily News. Additional parts will appear each Friday this month. Find more information on the Longevity Project and the rest of the series here. Chuck Kauffman can’t sit still. Even at 81, Kauffman is more adventurous than most. Part of the reason he bought his house in Dillon is because it’s right on a mountain bike trail. 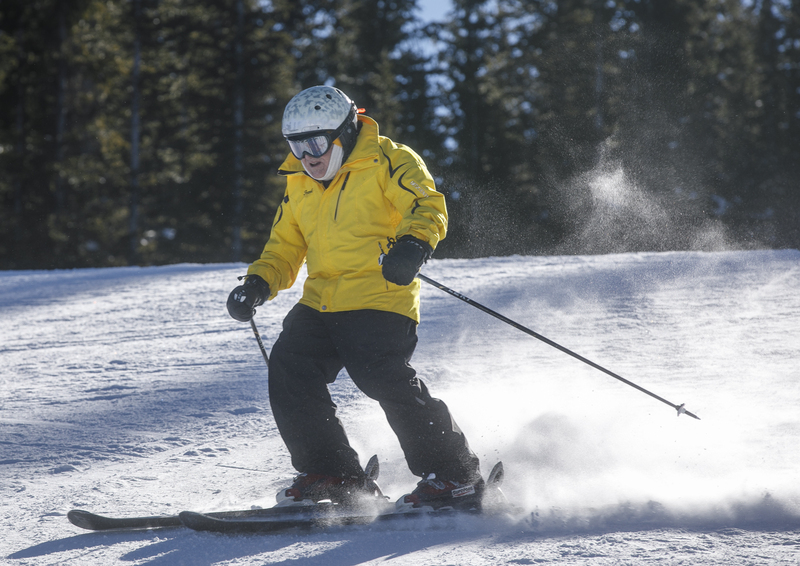 He also skis, paraglides, hikes and helps organize fundraisers for nonprofit groups. 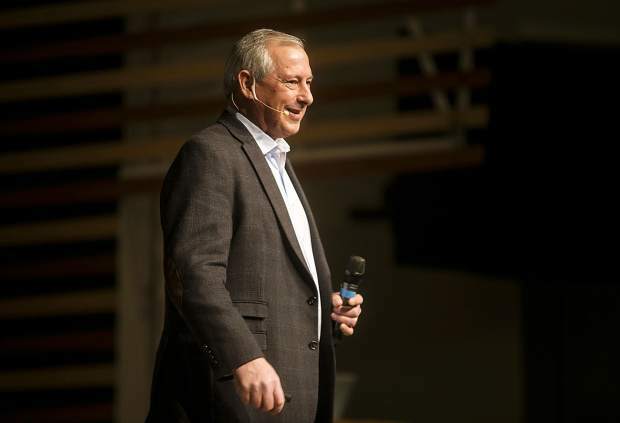 After a Denver-based career in real estate, Kauffmann finally relocated to Summit County in 2003 and quickly caught the bug. It’s a kind of magic (or maybe madness) that attracts people of a certain stripe. Unlike the regular crowd crawling up Interstate 70 on weekends, these are people who come up to altitude, never leave and never stop. And before they realize it, their hair has turned white and it takes them a little longer to get down the slopes at Copper Mountain Resort, or bike a trail loop in Frisco. But these octogenarians, nonagenarians and even the odd centenarian still get up and go every day. In fact, the seniors of Summit, Pitkin, Eagle and other mountain counties have the highest life expectancy in the nation. How do they do it? How do they live such seemingly happy, healthy lives? Does altitude have anything to do with their extended lease on life? What do they eat for breakfast? Chuck Kauffman Monday, Jan. 29 in Summit Cove. If you ask some folks in Summit and its neighboring counties, the answer is as clear as the air: It’s just about enjoying life. There’s an energizing force that seems to float off the mountains in puffs of powder. Every day offers a new wonder to explore and a new adventure to take with like-minded friends. Perhaps the fountain of youth melts out of the peaks and flows down into the valleys. However, the answer likely isn’t so mystical: Medical experts say these marvels of longevity tend to be affluent, educated, physically active, socially engaged and possibly genetically gifted. They don’t smoke, they watch what they eat and they have access to high-quality health care. It’s the mountainous splendor of Colorado that then draws them all together. 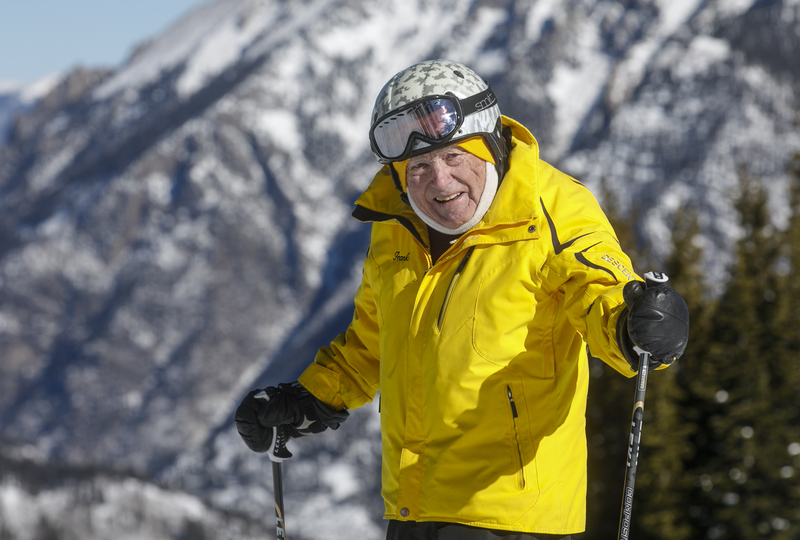 In this first installment in a four-part series on longevity, the Summit Daily News will dig deeper into why people in the state’s central mountains live longer than anyone else in the U.S. And as the series progresses over the next three Fridays, we’ll also look at how the Ageless Alps of Colorado stack up against so-called “Blue Zones,” geographically isolated areas throughout the world where people live well into their 100s. Additionally, we’ll weigh the pluses and minuses of mountain culture, where residents play (and drink) hard, but also battle significant mental health challenges and economic inequality. And then we’ll peer into the future to see just how well prepared we are to care for our aging population. A report published last year by the University of Washington’s Institute for Health Metrics and Evaluation (IHME) set mountain towns abuzz. Titled “Inequalities in Life Expectancy Among US Counties, 1980 to 2014,” the study found that Summit and neighboring Pitkin and Eagle counties had the highest life expectancies in the nation at 86.83, 86.52 and 85.94 years, respectively. 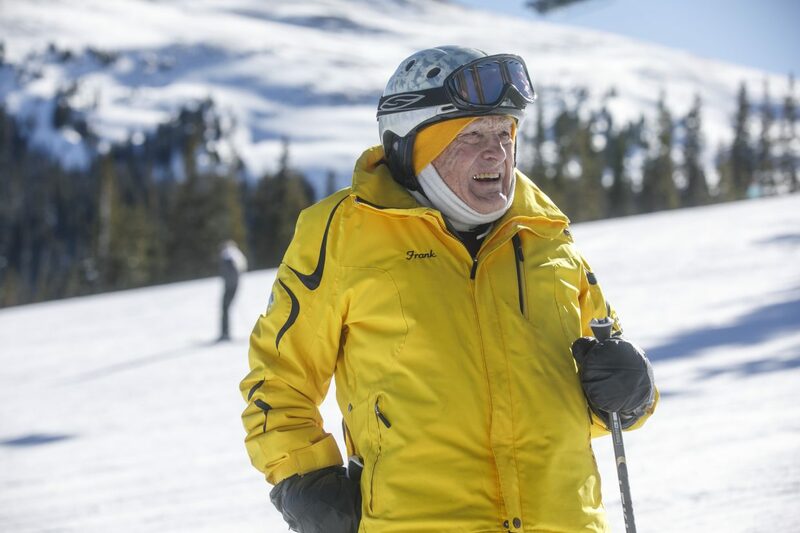 Meanwhile, a 2014 report published in the Aging and Disease medical journal found an association between living at high altitude and “lower mortality from cardiovascular diseases, stroke, and certain types of cancer.” A previous IHME report found that Summit County had the lowest cancer rate in the country for over 30 years. When it comes to health grades, central Colorado’s mountain counties are at the top of the class. To uncover the key to a long life, the IHME looked to death records. Its study then gleaned what impact socioeconomic factors, health care and behavior each had on life expectancy based on Census data at a county level. 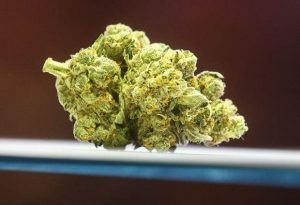 Dr. Ali Mokdad, a co-author of the report and a professor of Global Health at UW, explained how each factor weighs in. Socioeconomic dynamics: Being wealthy and educated helps. A lot, he said. 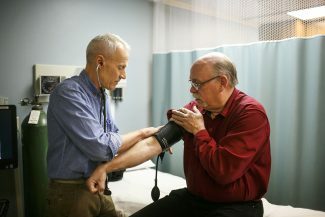 A person born in Summit County, with a median income of $70,192 and half the population touting college degrees (as of 2016), is expected to live 20 years longer than a person born in Oglala Lakota County, South Dakota, which has a life expectancy of 66.81 years, a median income of $26,330 and around 11 percent of the population attaining a college degree. But the impact of socioeconomic factors is deeper than the numbers. The right combination of education and wealth allows a person to both be aware of what they need to live longer, as well as being able to afford the means to do so. Socioeconomic factors also affect awareness and affordability of a balanced diet, physical fitness and avoidance of risk factors such as smoking and excess drinking. Being well-off also affords individuals more opportunities for recreational and social activities, which can impact physical and mental health, and by extension, life expectancy. Health care: Similarly, access and proximity to solid health insurance and quality health care is based in large part on geography and income. Summit County has a level III trauma center in St. Anthony Summit Medical Center, and Eagle County has an assisted living center for seniors in Castle Peak Senior Care Community. When it comes to life-or-death emergencies, every second matters. Dr. Mokdad, who is based in Seattle, gives an example of what that means in practice. Frank Walter Tueasday, Jan. 16, in Copper. On the other hand, a person in rural Eastern Washington, or in the western plains of Colorado, might be hours away from the nearest trauma center. According to the Colorado Rural Health Center, 85 percent of Americans can reach a level I or level II trauma center within an hour, but only 24 percent of rural Americans can do so within that timeframe, helping explain why 60 percent of all trauma deaths occur in rural areas. The type and quality of medical specialists available locally or regionally also contributes to the health care factor. 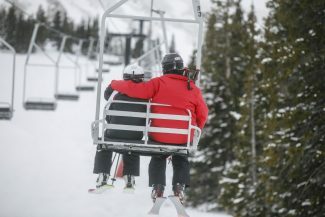 While many mountain communities like Summit lack full-time specialists in some areas, access to treatments for chronic illnesses has been improving. St. Anthony opened a specialty care and infusion center last year that offers chemotherapy and IV treatment for other chronic diseases like Crohn’s disease. Behavioral and metabolic risks: The IHME study found that preventative behavioral risk factors such as smoking, drinking, drug use and obesity have the most to do with longevity, accounting for 74 percent of the variation in life expectancy between counties. According to the Centers for Disease Control, the life expectancy for smokers is 10 years less than non-smokers. A National Institutes of Health (NIH) study has found that extreme obesity can reduce life expectancy by up to 14 years. Both are major risk factors for cancer. Dr. Mokdad said that managing preventable risk factors is crucial because it can counteract the socioeconomic factors that would normally hobble life expectancy. “There is a county in Arizona that has improved tremendously despite the odds,” he said, referring to Yuma County, Arizona, which has a relatively low income level of around $41,000 yet has seen an eight-year jump in life expectancy over the past 20 years. That kind of improvement in life expectancy is based largely on the proper management of preventable risk factors either at a social or policy level, which can turn around the economic fortunes of a town. “You need to be healthy to get out of poverty,” he said. 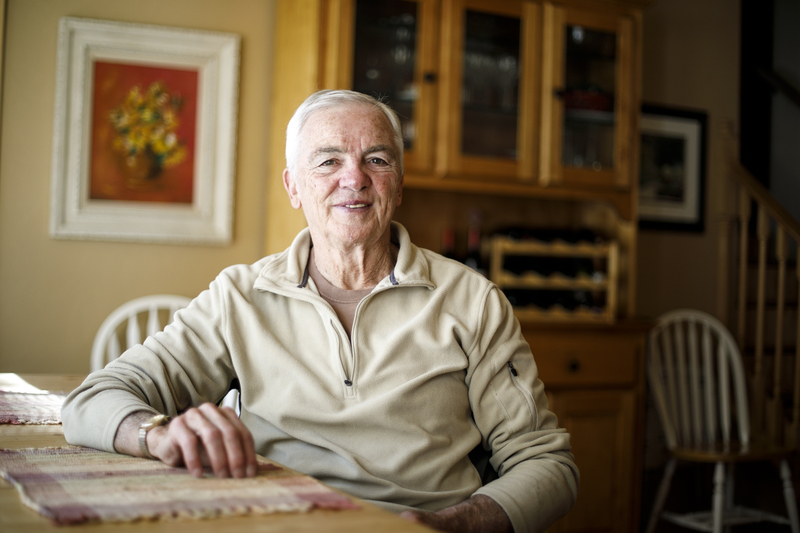 Chuck Kauffman talks about his lifestyle at 81, and what he thinks is the key to living long. Up in the mountains, being healthy seems to come naturally. Eagle County, for example, has an 11.8 percent obesity rate, the lowest in the country. The hundreds of opportunities for physical activity in the mountains are a primary reason for that low number. “Increased physical activity helps prevent heart disease and increases life expectancy,” said Dr. Lemis. A NIH study confirms that, finding that moderate to vigorous leisure-time physical activity can increase life expectancy by up to 4.5 years. “There are so many opportunities for seniors here to remain active, physically and mentally,” said Gini Patterson, a physical therapist and executive director of Timberline Adult Day Services, which provides daytime care for adults with daily living challenges. 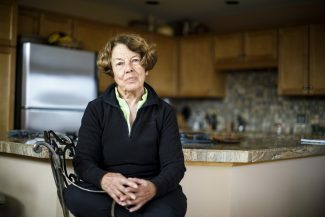 She gave several examples of places seniors can find these opportunities, such as Timberline, the Summit Senior Community Center and the “Over the Hill Gang” at Copper Mountain, a club for skiing seniors. Kauffman fits the mold of a very active mountain senior. He is the oldest member of the Summit Mountain Biking Club, which includes members in their 50s to 80s. In 2016, he celebrated his 80th birthday by getting 35 friends to join him on a two-week biking trip through the Austrian Alps. He goes on bike trips with friends and family, skis 30 to 40 times a year, and attends social gatherings with his many friends in the area. He also avoids the habits that shorten lifespan. He eats moderately, even if he enjoys sweets now and then. 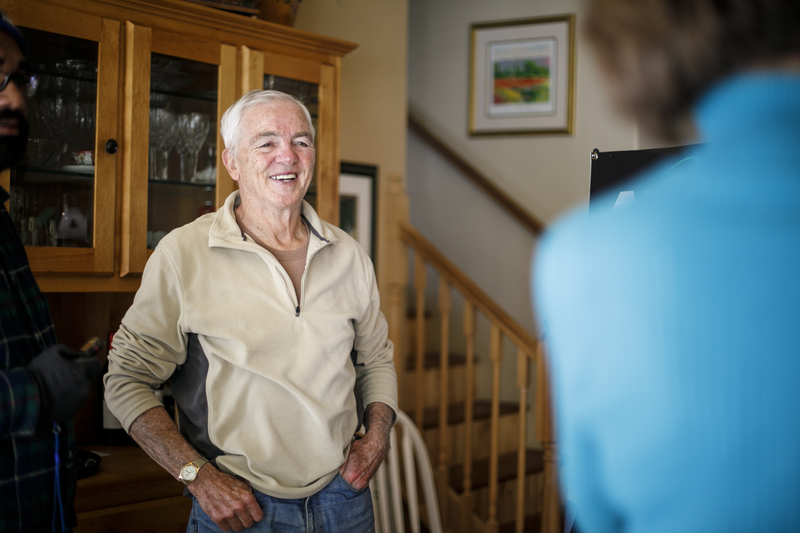 Retired Summit County general surgeon Don Parsons, MD, has treated patients in Summit for decades. He said that mountain residents like Kauffman live longer because they follow the five rules he prescribes for a longer life. But how much of the high life expectancy here has to do with the fact that Summit residents are a self-selected group well-adapted to mountain life? Dr. Jules Rosen is the chief medical officer at Mind Springs Health and the former chief of geriatric psychiatry at the University of Pittsburgh. He believes the mountains filter out anyone who can’t acclimate or afford the lifestyle, but living up here doesn’t make people healthier. Dr. Lemis agrees with that assessment. He points out that the type of people who move into the county are active and healthy to begin with. “People with pre-existing conditions don’t move here, for the most part,” he said. Conditions that are exacerbated by elevation-related illnesses include high altitude pulmonary edema, a condition that causes fluid buildup in the lungs, as well as central sleep apnea, which is caused by the pressure and oxygen changes associated with altitude. Dr. Rosen and Dr. Lemis both believe the high life expectancy number to be somewhat artificial. They point to the fact that once seniors are unable to have their needs met in the mountains, they must move elsewhere. 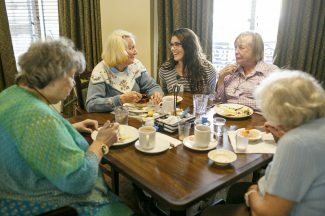 Reasons can include wanting to be close to family who have already moved, needing special medical treatment or moving into a senior living facility that can better care for them. They tend not to come back, and die elsewhere. That skews the numbers, they argued. The Summit County Coroner’s Office reported in 2016 that the county had 10 “out-of-jurisdiction” cases, which involve patients who started dying in Summit but were transferred out of the county and passed away elsewhere. The coroner reported 82 deaths in Summit in 2016, and 42 of those deaths were visitors from outside the county. Dr. Mokdad said that the IMHE report did take migration into account, but it was not a big factor for life expectancy. There seems to be another factor at play that’s apparent whenever you speak to one of our mountain seniors, an inner drive that pushes them to get up early every day and take in all the High Country has to offer. It’s a rugged stubbornness, a determination to not let time get ahead of them and to never say “die.” As Chuck Kauffman says, it’s a drive that keeps them from ever sitting still. That factor may remain unquantifiable, but it could very well be one of the keys to a longer, happier, healthier life. 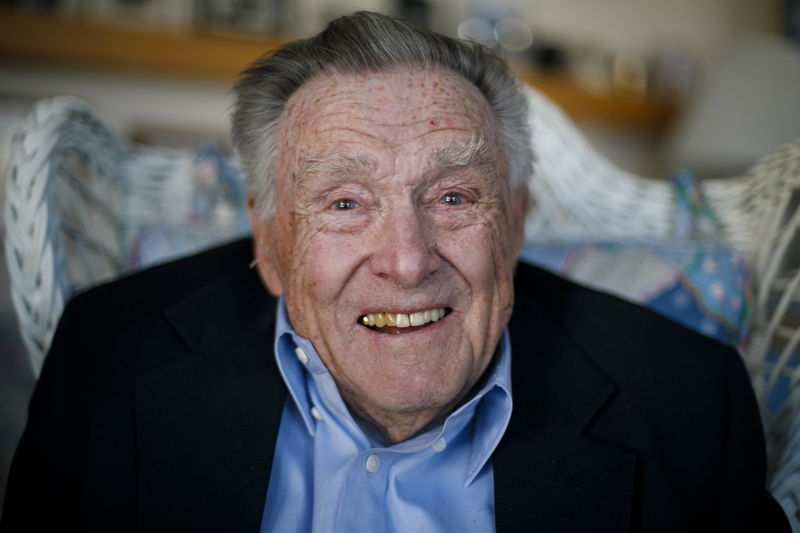 Part 2 in The Longevity Project series will appear in the the Feb. 9 edition of the Summit Daily News.